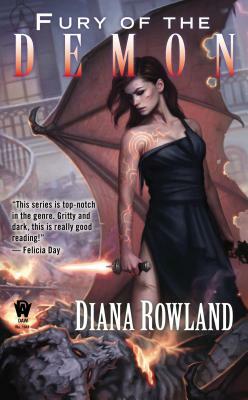 Fury of the Demon is the exciting sixth installment of the Kara Gillian series. Diana Rowland has lived her entire life below the Mason-Dixon line. She has worked as a bartender, a blackjack dealer, a pit boss, a street cop, a detective, a computer forensics specialist, a crime scene investigator, and a morgue assistant, which means that she's seen more than her share of what humans can do to each other and to themselves. She won the marksmanship award in her Police Academy class, has a black belt in Hapkido, and has handled numerous dead bodies in various states of decomposition. She presently lives in southern Louisiana with her husband and her daughter where she is deeply grateful for the existence of air conditioning. A master of urban fantasy, she’s the author of the Demon series and the White Trash Zombie series. She can be contacted via her website, www.dianarowland.com.